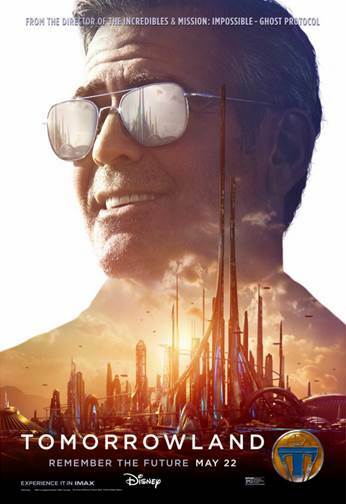 Disney Tomorrowland Vision Of Tomorrow and #TomorrowlandEvent Interviews Announced! A special thank you goes out to Disney for providing travel, accommodations, and entertainment for the Disney Tomorrowland Event. Many of the things that seem impossible now will become realities tomorrow! As I heard that quote from Walt Disney in the Vision Of Tomorrow featurette, it immediately had me reflecting on my own life. Never in my wildest dreams would I think it would possible for me to be interviewing talent from the film Tomorrowland. 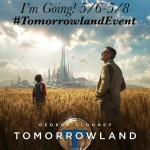 However next week May 6th -8th, I will be in Los Angeles for the Disney Tomorrowland Event. Just to give you a heads up on what will be happening, my schedule will be tentative as follows. 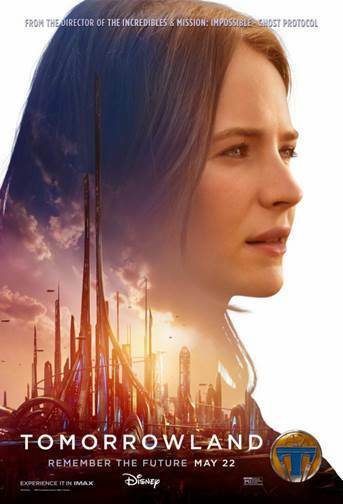 Wednesday – Advanced screening of the film Tomorrowland. You can follow along via the Hashtag #TomorrowlandEvent. Thursday – Visit the Walt Disney Studios lot and get a Private tour of the Walt Disney Archives to learn about Walt’s vision and the early history behind “Tomorrowland”. Then we will head over to Disneyland to ride “It’s A Small World”, “Space Mountain,”, “Star Tours,”, “Buzz Lightyear Astro Blasters,” and the “Astro Orbitor Rockets.” Plus we get to check out Frozen Fun and the Sneak Peek of TOMORROWLAND available at Disney Parks! 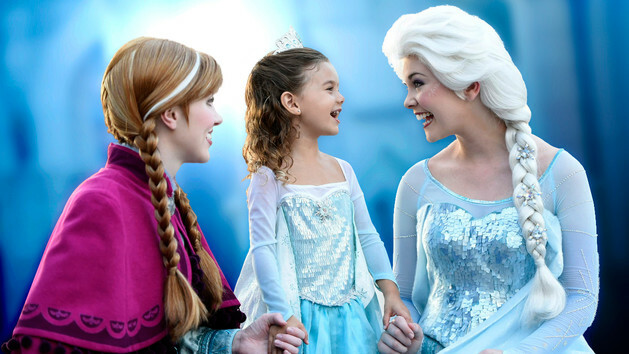 Again, you can follow along via the Hashtags #TomorrowlandEvent, #Disneyland, and #FrozenFun. Friday – Is the Press Day for TOMORROWLAND! 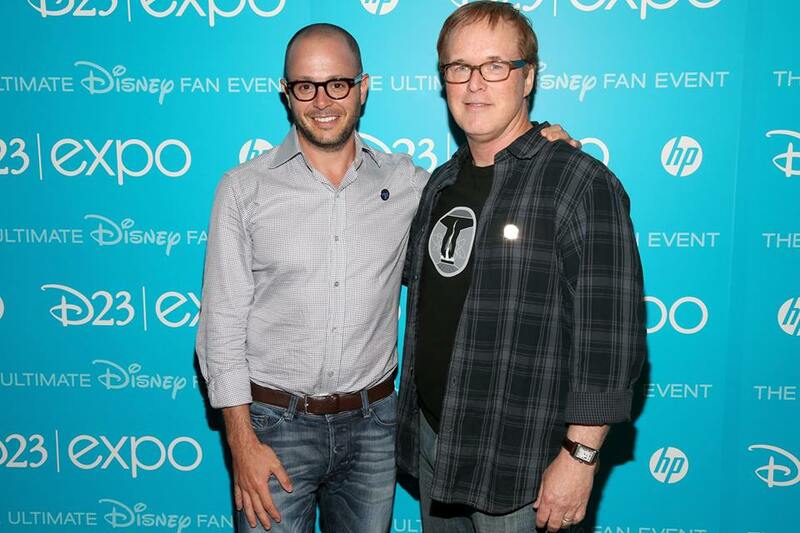 We as a group will be interviewing Director/Producer/Writer Brad Bird (and 2-time Academy Award winner), Britt Robertson (“Casey Newton”), Raffey Cassidy (“Athena”), George Clooney (“Frank Walker”), and Producer/Writer (and Emmy Award winner) Damon Lindelof! That is CORRECT you saw GEORGE CLOONEY! Definitely follow along via the Hashtag #TomorrowlandEvent. What questions would you ask the talent from the film? What are you most intrigued to know about Tomorrowland? 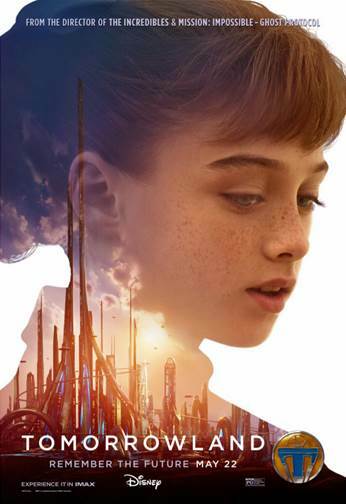 TOMORROWLAND is in theaters everywhere on May 22nd! 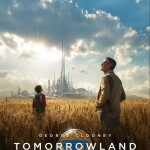 For more information visit the official website at Disney.com/Tomorrowland. 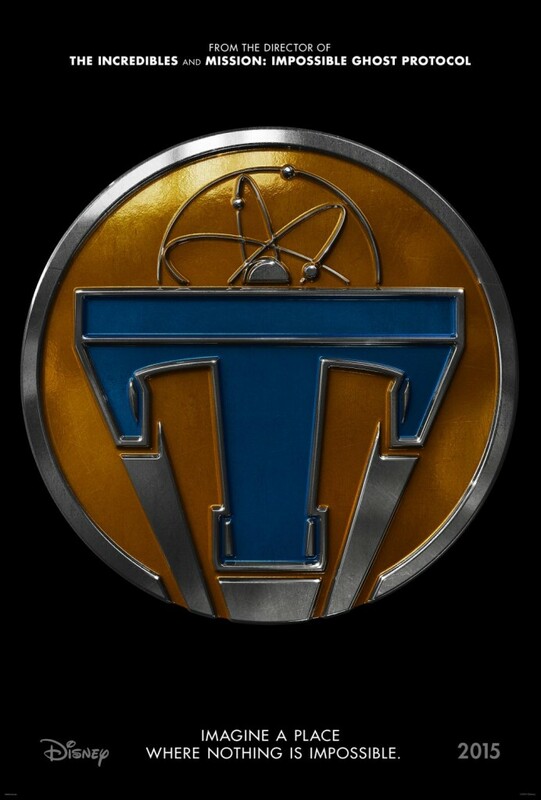 You can also find additional film details at facebook.com/DisneyTomorrowland, and twitter.com/DisneyPictures (#Tomorrowland). I'm really excited about seeing this movie. We saw the trailer at the movies a few weeks age and it looks so good. I'm so excited for you! I can't wait to follow along...and see the pics! I am so excited for you Carlee! I can't wait for the pictures and all of the details of your trip! Here are some questions you were wanting -Question#1: How do you prepare for a role? Is it delving into the character mentally and physically with extensive research on your part...or do you just naturally take on the character the director wants? Question#2: Is it difficult to leave the movie set with all of the make believe going on and return to your own natural self? Is it a difficult transition back? Question#3: What would you say is the hardest part of making any movie, given the fact that it isn't as glamorous as most people think it is? Wow! This is going to be such a special event for you to attend. I can't wait to hear your thoughts as your share your trip. This movie looks like a summer hit from the trailers I've seen so far! I can't wait to see this. It looks like it is going to be awesome!! I'd love to know more the behind scenes info about making the movie. Awesome event! I would like to learn a little more about the special effects and the most challenging part of implementing them into the film. Looks like it's truly going to be magical Carlee! Can't wait to follow along and hear all about it! This is great! So many questions I would love to ask! 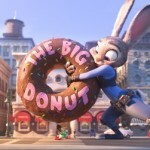 I cannot wait to see this movie! Our last trip to Disney was kind of a bust (we visited family and only went to the park one day, most of which got rained out). We need to go back. I'm interested to see how the answers go to the questions you decide to ask! To be honest I haven't seen previews for this movie yet so I am not sure of it. But it does look interesting.